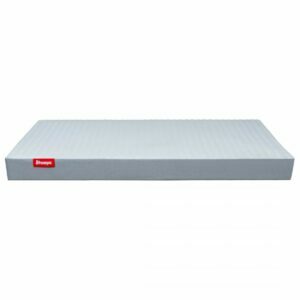 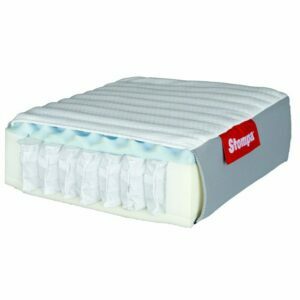 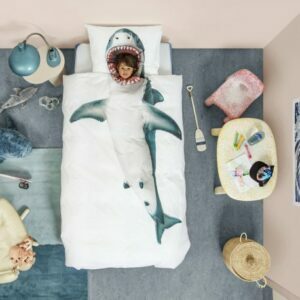 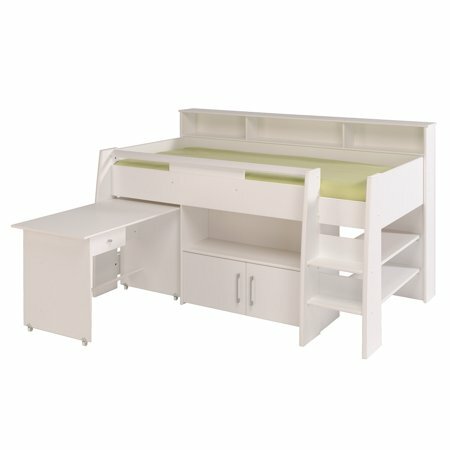 Logan Midsleeper bed - White for children in S.A. 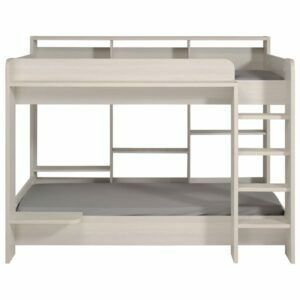 The Logan Midsleeper Bed is the perfect choice for a growing boy or girl. 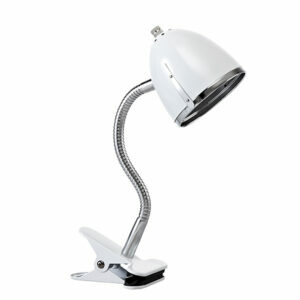 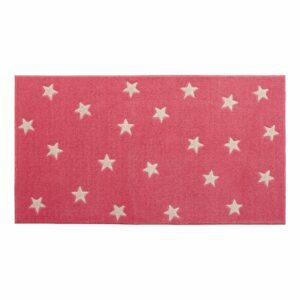 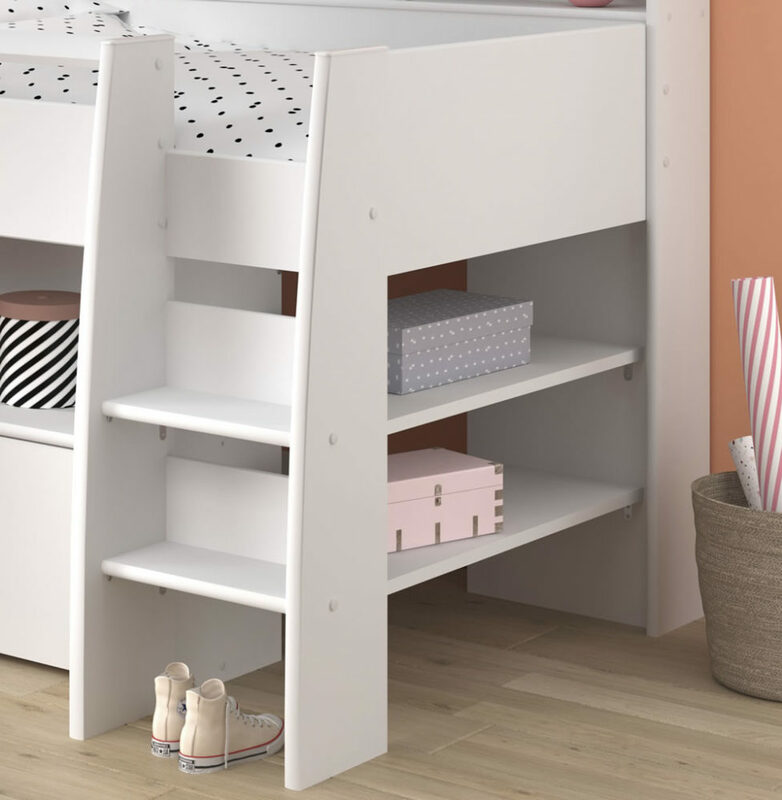 The white finish is ideal, because it is neutral and can adapt to your child’s changing tastes as he or she grows up. 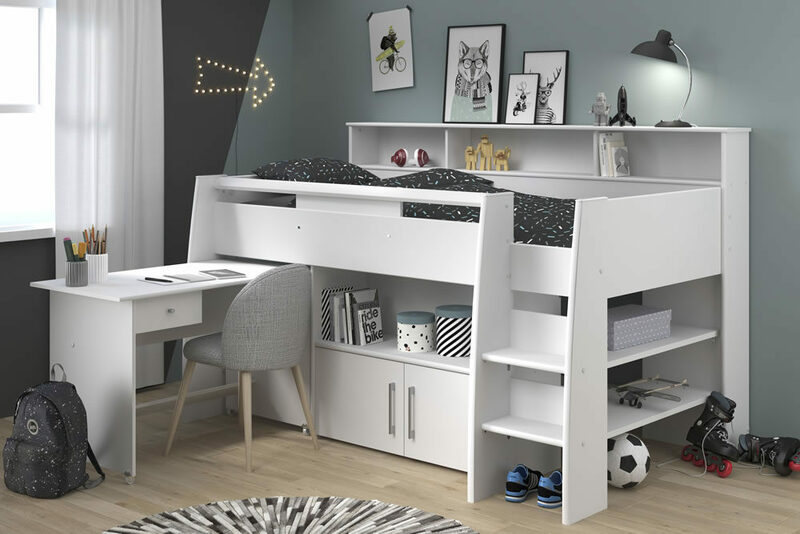 The contemporary-looking, space saving Midsleeper style is a great compromise between a low bed and a top bunk or loft bed. 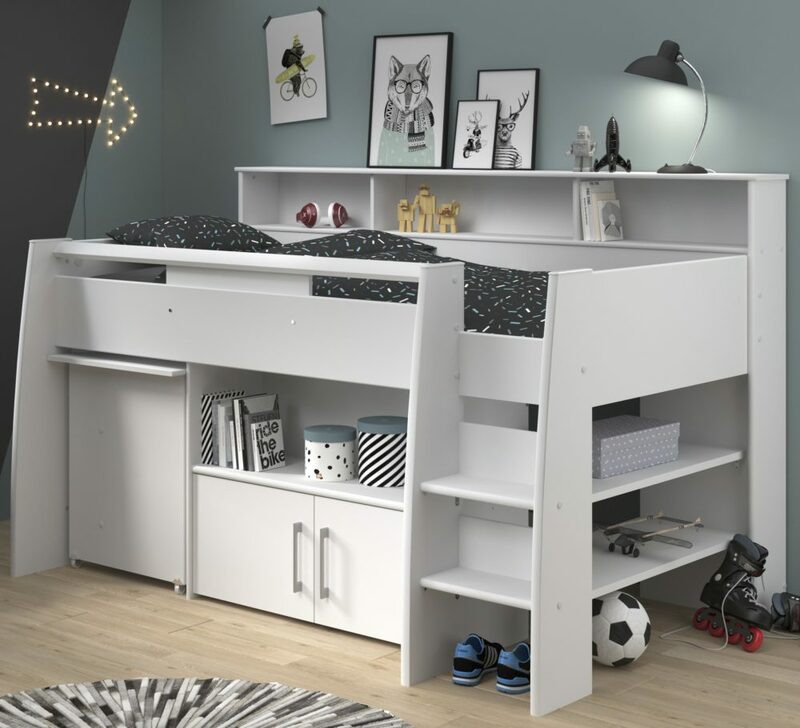 The Logan Bed is only 132cm high, and comes with a stable built-in ladder, so kids can climb easily without fear of falling. 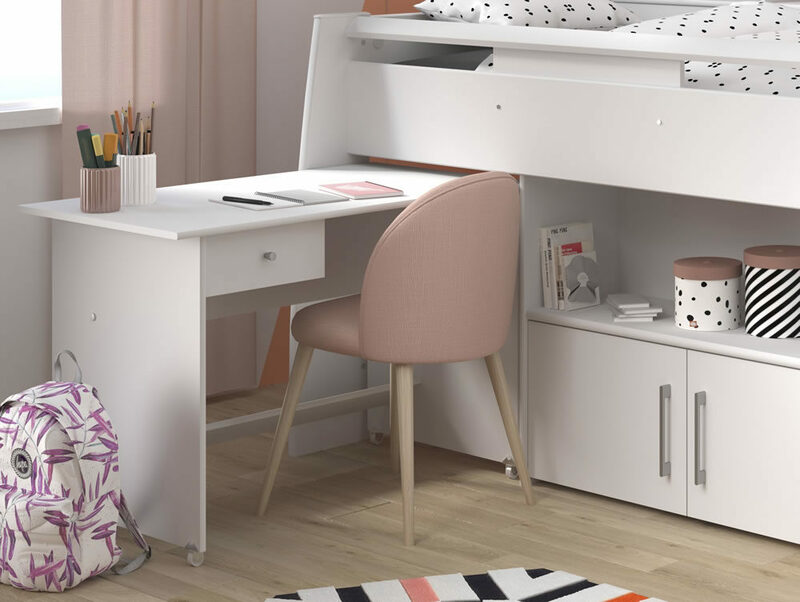 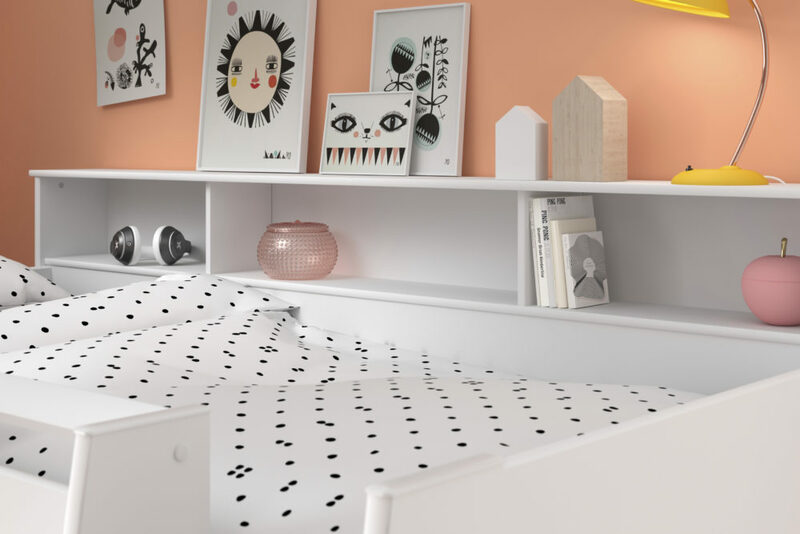 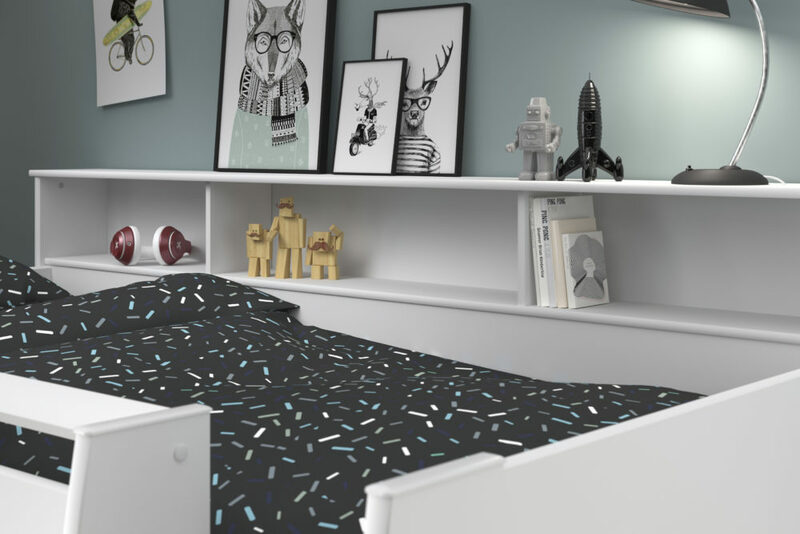 With a Midsleeper Bed, there is room underneath, and this design allows you to pull out a desk on wheels for homework, projects, games, and crafts. 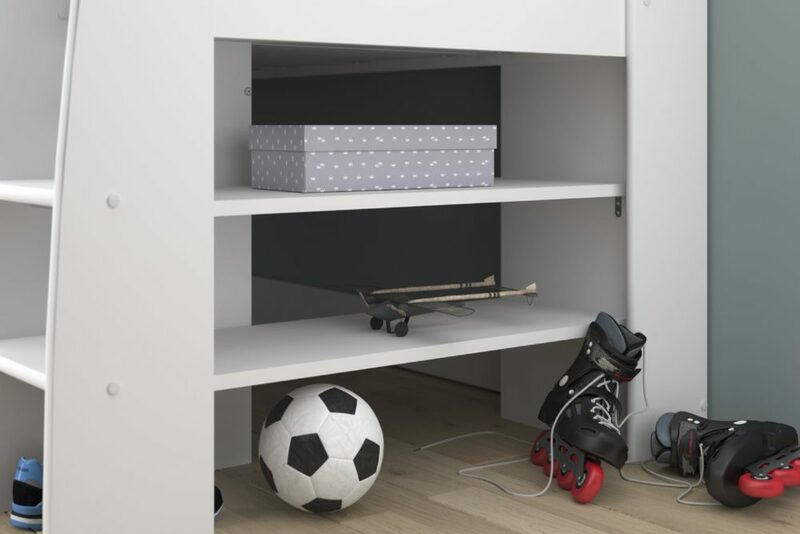 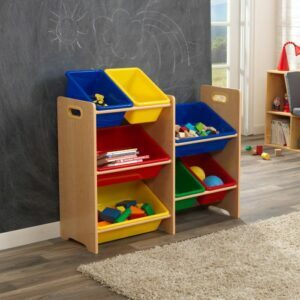 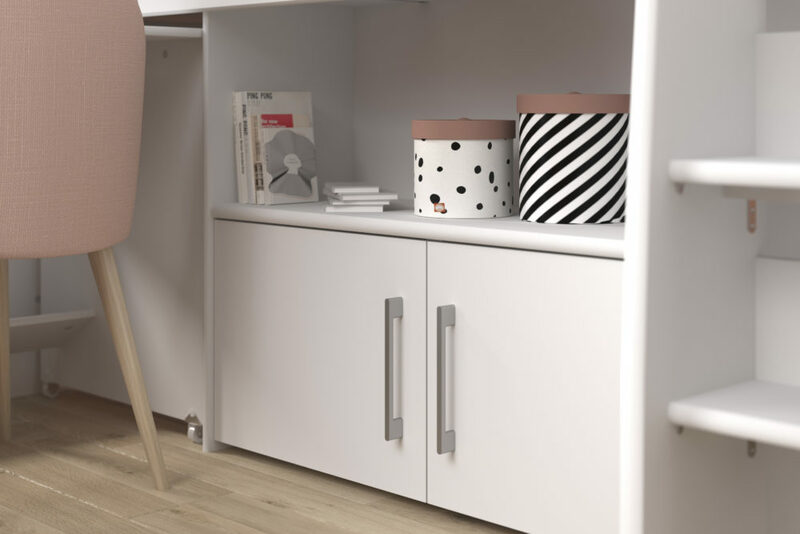 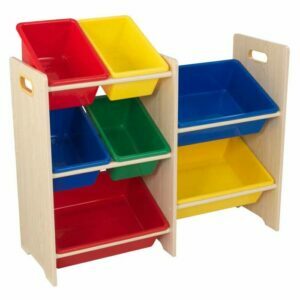 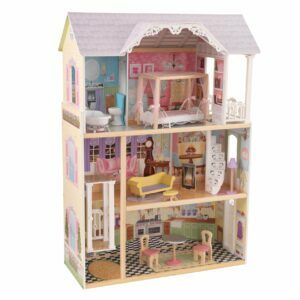 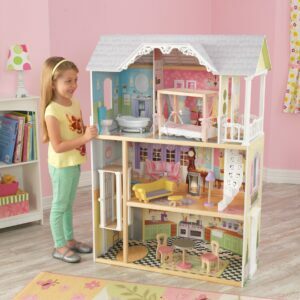 There are cabinets and shelves for toy bins and stuffed animals, so everything can be organized and easy to access. The Logan Bed is built to last, manufactured from top-grade particleboard, so it will not bow or split with normal use. 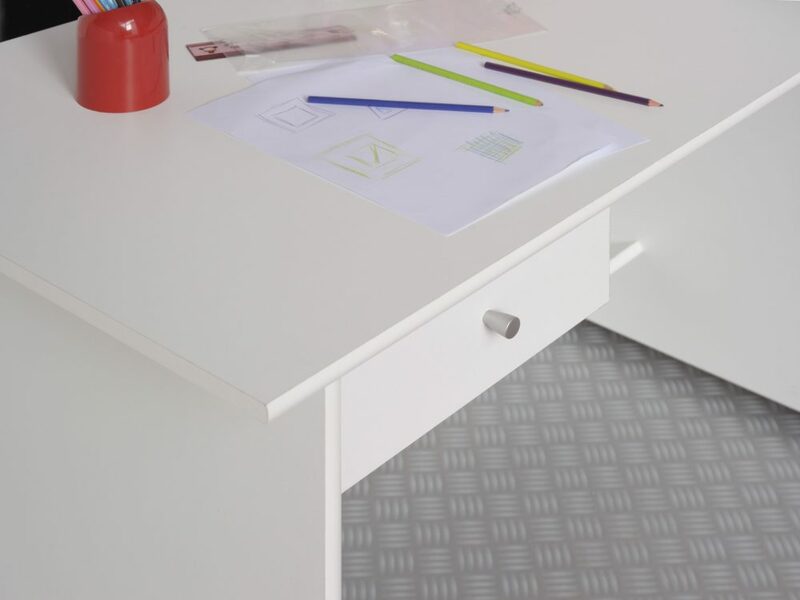 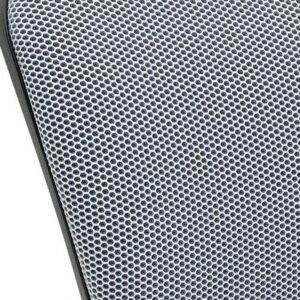 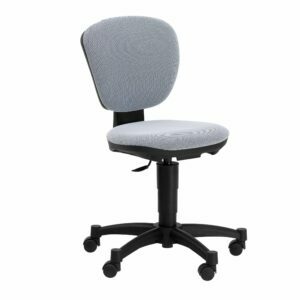 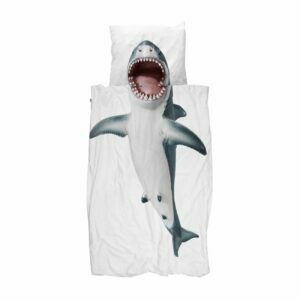 It is covered with a premium-quality white veneer finish that is easy to keep clean and resists stains, scratches and yellowing from UV rays. 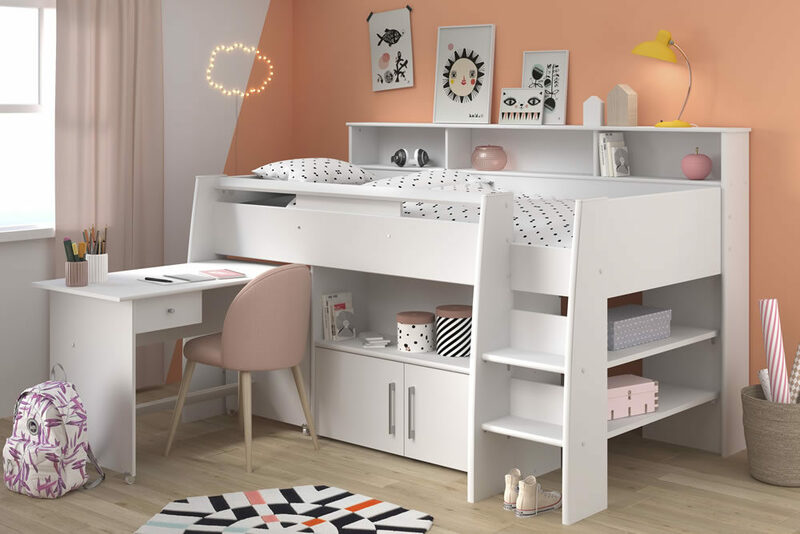 Even a small bedroom can be your child’s dream room with the features of the Logan Midsleeper Bed. 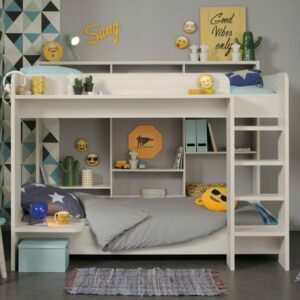 One of our bestsellers, it is a real winner from one of France’s leading children’s furniture designers and manufacturers. 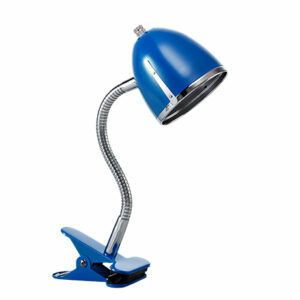 Exclusive to Nest in South Africa.